August 9, 2018—Yamalube Racing Team rider Keisuke Maeda, who competes in the premier JSB1000 class of the All Japan Road Race Championship, will withdraw from Round 6 (August 18–19 at Twin Ring Motegi), Round 7 (September 1–2 at the Autopolis International Racing Course) and Round 8 (September 29–30 at Okayama International Circuit) of the series due to injury. In line with this, Thai rider Anupab Sarmoon, who currently races in the Asia Road Racing Championship's (ARRC) Asia Production 250 (AP250) class, will enter in Maeda’s place for Round 7 and Round 8. Maeda’s level of recovery from his injury will be taken into consideration when deciding if he will contest the MFJGP, the final round of the All Japan Championship to be held at Suzuka Circuit in November later this year. 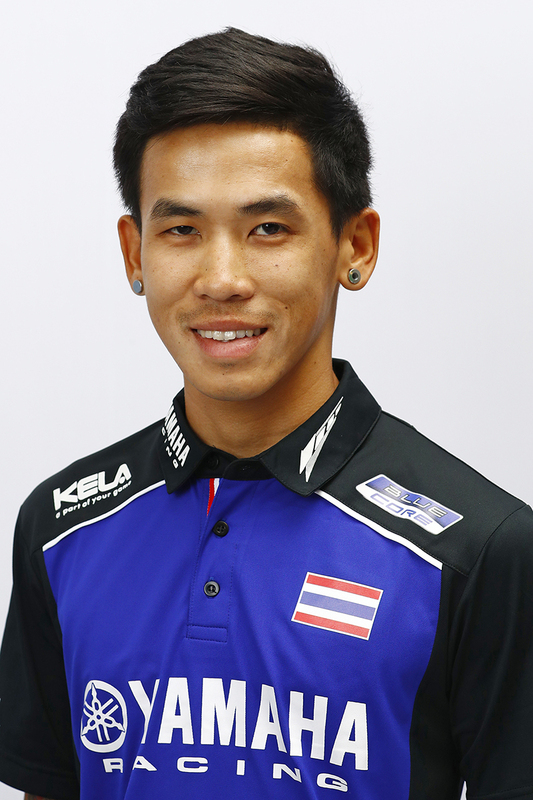 A 24-year-old rider from Thailand, Sarmoon began racing for the Yamaha Thailand Racing Team in the ARRC’s AP250 class in 2016. In his third season in the class, he is currently 3rd overall in the standings as of Round 4. One of Southeast Asia’s most talented riders, Sarmoon also competes in his homeland in the FMSCT All Thailand Superbike Championship’s ST1 class for stock 1,000cc superbikes. He has won the first four of nine races and currently leads the championship. He also took part in last month’s Suzuka 4 Hours, where he won for the second year in a row.